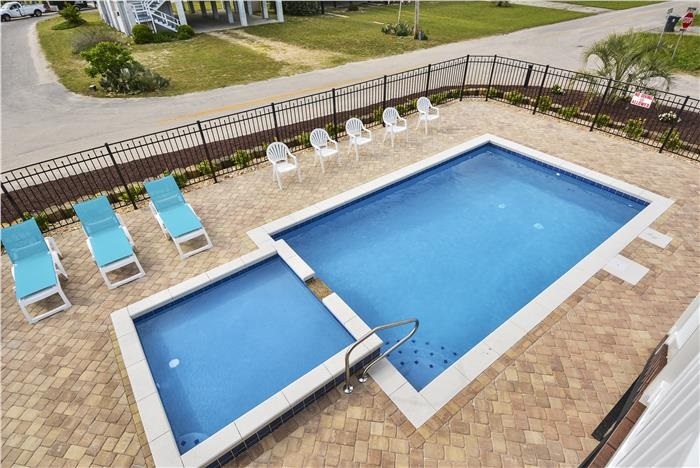 Professionally Maintained Private Pool & Kiddie Pool, (Seasonal Pool Heat Available w/ Fee), Pool Dimensions: 15 x 30, Kiddie Pool Dimensions: 8 x 8, Covered Porches 1st & 2nd Levels, Ocean and Marsh Views, Outdoor Poolside Shower with Hot and Cold Water, Outdoor Kitchen, Charcoal Grill, Picnic Tables, Rocking Chairs, Professionally Landscaped Grounds, Approximately 3,534 Heated Square Feet, Located on Corner Lot, Public Beach Access Directly Across the Street, Non-Smoking, No Pets Allowed. 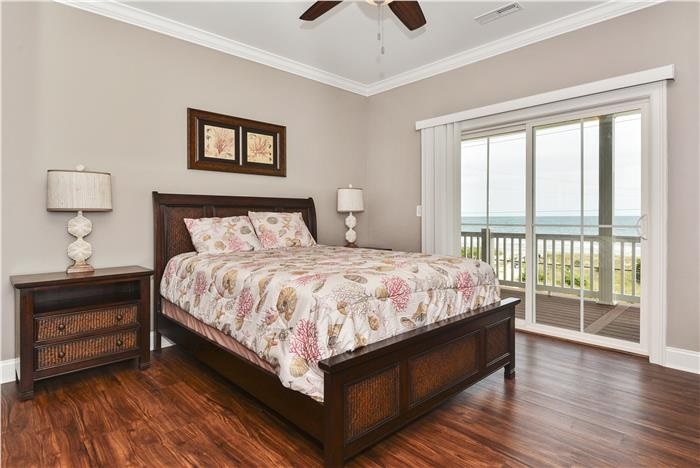 Professionally Decorated, Central A/C Heat, Ceiling Fans, Wi-Fi Internet, 65" Flat Screen TV & Blu Ray DVD Player in Family Room, 42" Flat Screen TV w/ DVD Player in Every Bedroom, X-Box 360 Gaming System in Bunk Room, 2 Washer/Dryer, 2 Refrigerators, Dishwasher, 2 Ovens, Microwave. 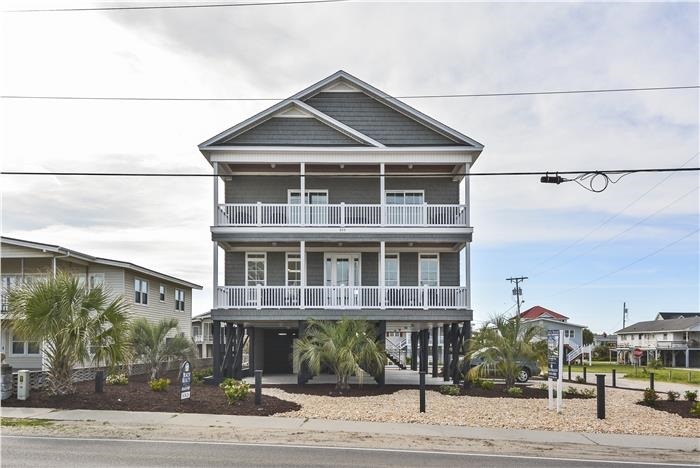 This house was probably the best we have rented in the 10+ years we have been coming to the beach. It had everything we needed, was very spacious for the 11 adults that were staying there and the location was perfect! This home was beautifully decorated. We liked the fenced in backyard. We spent a lot of time back there. This house had plenty of parking and since there is no house ocean front, we had great views from the front porch. The access to the beach was great. We loved having the extra fridge for drinks. We had plenty of room for children, grandchildren and nieces and nephews. The bunk room was great for our teenage boys. We cooked several meals in. The double ovens are a plus. We were pleased with the staff at Beach Realty. The girls were friendly and professional. I called with a few issues that were handled quickly. 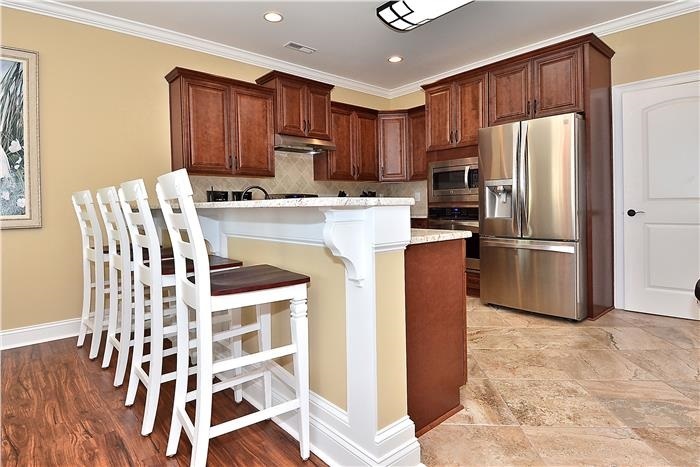 The one thing this house was missing: an ice maker. We all felt this was the best house we've rented. Loved the layout of the house - very accommodating. The house was in great condition - inside and out. The description of the property was very accurate and the property was very clean a n d well maintained. Loved the landscaping. Will definitely rent this house again next year. Everyone at Beach Realty was very courteous and professional. Coastal Treasure was a great fit for our family vacation. We loved the fact that the house was newer, which meant it was up to date. It came well stocked in the kitchen, which made cooking dinners for multiple families possible. There was a laundry area on both floors, which made it possible for everyone to do laundry without waiting! Every room had their own bathroom, which we LOVED! The outdoor areas were some of our favorites. The kids loved the pool. 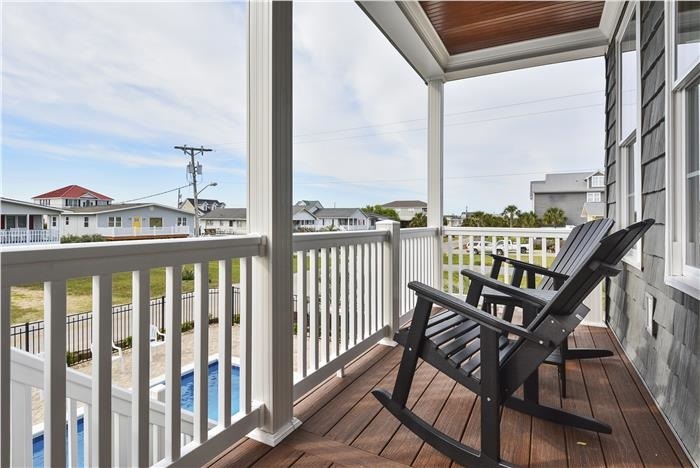 The adults loved the views of the ocean and the marsh from the porches. There was ample parking and the walk to the beach was a cinch. We will definitely stay here again. The entire group loved staying at Coastal Treasure. 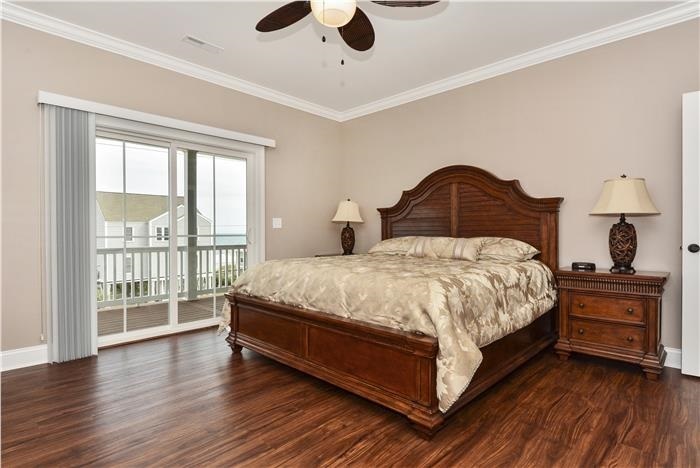 Loved the layout of the house, front porch view of the ocean was beautiful. Having easy access to the pool was a plus, well kept. There is also easy access to the beach. In all, everyone had a very relaxing and enjoyable vacation. Great house. The Coastal Treasure is exactly that a coastal treasure. We had a wonderful time due to the lovely home and its accomodations. Well furnished. From the moment we booked our rental to the day we stepped foot into the house we knew we chose the right place to stay! The house was amazing! 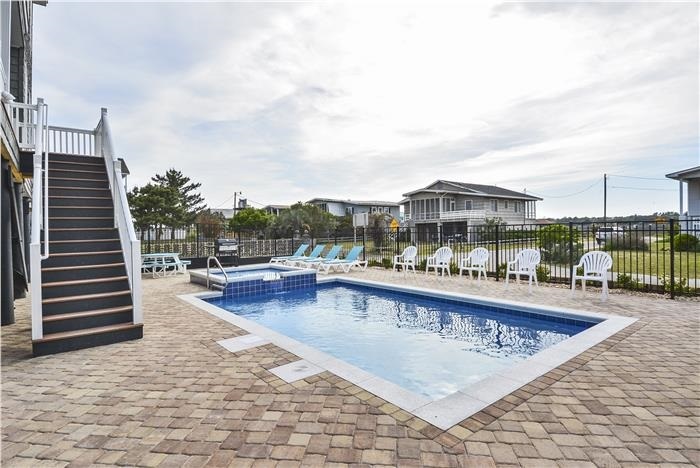 From the view of the beach to the private pool, Costal Treasure had it all! Having a private bathroom for every bedroom was great, the access to 2 washer and dryers made doing laundry a breeze and the kitchen/dining area was perfect for our family. The pool was simply amazing. From the outdoor bar to the perfect number of lounge made our non-beach time enjoyable. We wished there were a few beach chairs to borrow but it wasn't a huge deal and we improvised. We honestly didn't want to leave and we can't wait to go back! Our family loved this home. The pool was a huge hit with the kids and there were plenty of lounge chairs for the adults. Inside the home there was plenty of room for 13 adults and 4 children. Every bedroom had a beautiful private bathroom, and the fact that there were two washers and dryers was amazing. 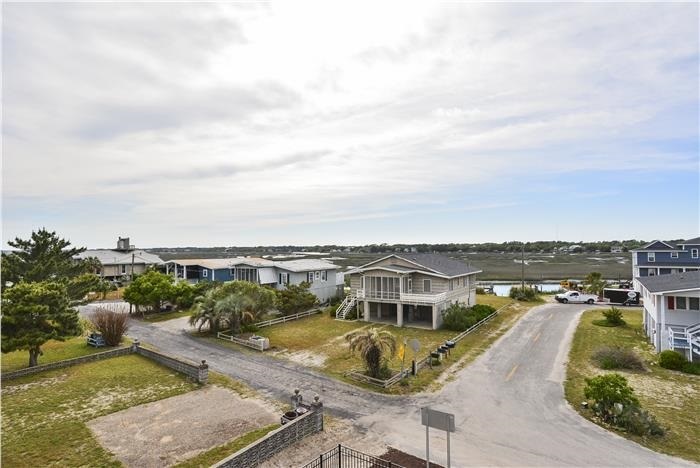 The home is in a beautiful location - direct access to the beach across the street. The rockers were so comfortable - we spent a lot of time on the porch looking at the beach, watching fireworks, and we even saw dolphins swimming. We have stayed in many homes in Garden City, and this was our favorite! The house was truly a wonderful place to stay since the East was having a North Eastern every week.... I was able to see the dolphins swimming in the morning and still catch the sun coming up and setting. This is a perfect house for anyone. Such a wonderful house. We had a great week. The beach was steps away and the pool was amazing. Can not wait until next year! We were a group of 8 adults and 5 kids under 8. The pool and beach access were the hit of the week. We jumped from the pool to the ocean at least 5 times a day. 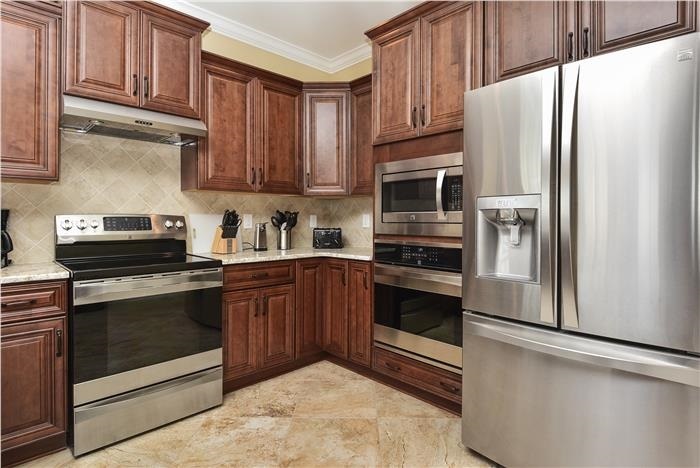 It was great having a washer/dryer on each floor and the kitchen was very well stocked. I've already booked it next year for a girl friend week. Our visit could not have been better we all had a wonderful vacation . Beach and house was great . Was a great time. Great view of the ocean. Met some new people. House was beautiful. Would of loved to stay another week. This was my 2nd visit to Costal Treasure. Last year we were the first family to stay in this new house and enjoyed it so much I recommended to my sorority sisters. This was our 10th year visiting Myrtle Beach together and everyone was whowed by the place. We all loved the location and the size of the house was perfect. We have already booked it for next year and can't wait for next May 2017. We would suggest that the owners add another cutting board, but other than that the kitchen was very well stocked. Unfortunately, the pool heater did not get turned on until Wed. I'm not sure why, but we did enjoy it Thurs. and Friday. We really loved the seating in the living room. With 6 older women and only seeing each other once a year it was a great place for us to sit, relax and catch up. Great home close to beach. Would highly recommend this to anyone. Great place to visit in a great location. We have stayed here for a couple of years now and there is a reason we come back. The house is a perfect set up for our family. My only complaint is in the description it says 15x30 foot pool and 8x8 baby pool. The 15x30 foot measurement includes the baby pool, so swimming pool was not as large as expected. There were a few minor things I would have liked in the kitchen but very incidental. Rental company has a list if you are arriving early they can put you on to TRY to get into house as soon as possible. I called previous day and said we were at the beach and had small children. House was not finished by check in time and cleaners said we were the last on their list. Not sure how that works,,,,House was great location. We are looking forward to next year already. Coastal Treasure is really that...a coastal treasure. Excellent house and location..we had a great time. Wonderful vacation get a way . 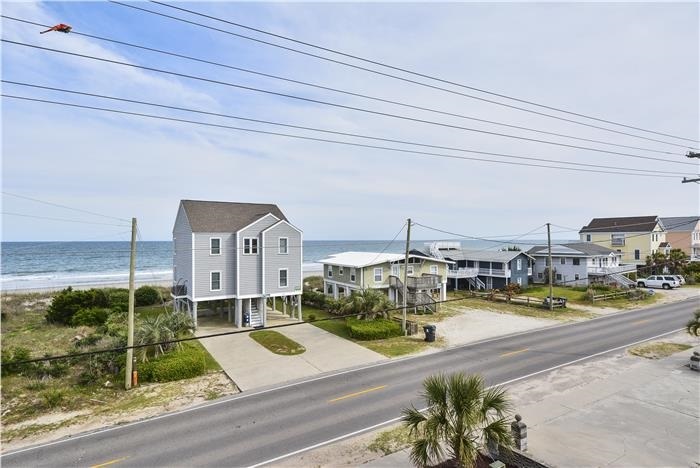 House is like being first row on the ocean .Clear view of ocean can hear the surf from the balcony.You just cross the street and your on the beach . 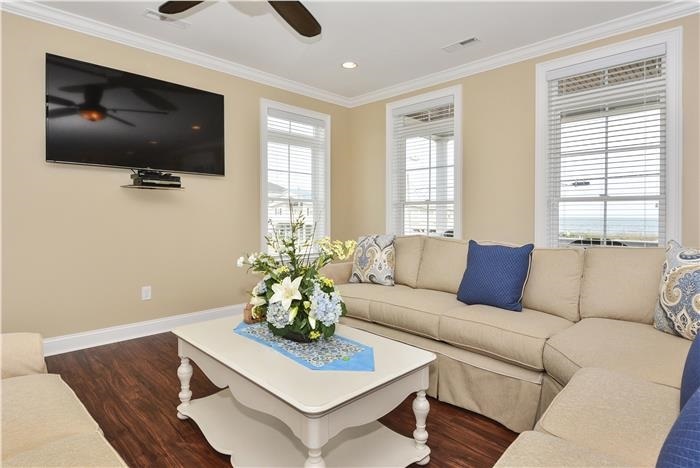 Great location, fully stocked kitchen, nice furnishings- great pool, the works! 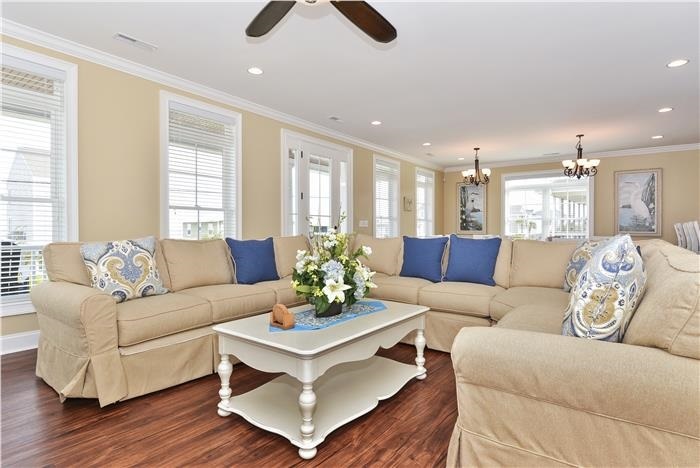 I rent from Beach Realty every year and always try to find a house with them first because of their willingness to work with me on anything I need. This year, we included the linens with our rental and what a nice surprise to find out they even put the linens on the beds!!! 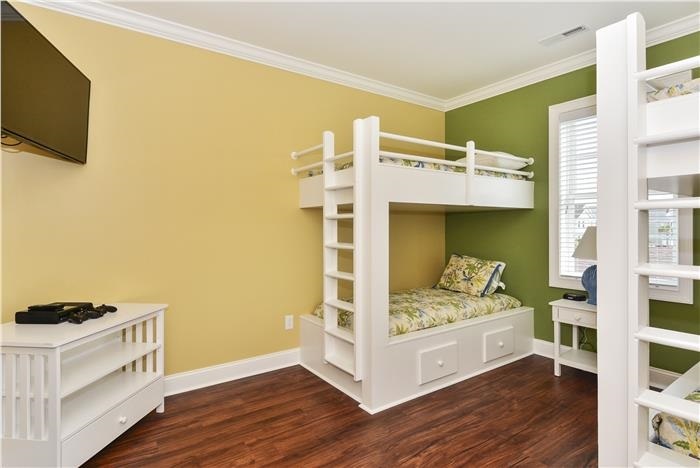 With the number of beds we would have had to make, this alone, is another reason to rent from them. View of the ocean was the best I've ever seen from a 2nd row home.